Some beautiful warm weather (for once) had us basking in the sun today but we certainly weren’t lounging like lizards as we continue to search for our remaining wildlife species! The tally ended on 289 to go today with some more results still to assess on iSpot so keep em coming! Rhys Jones told us how a chance encounter inspired his lifetime reptile obsession, we had a lesson in non-native ‘herps’ from the Amphibian and Reptile Groups of the UK and profiles on some of our most beautiful and mysterious wildlife – not to mention heavy metal nature with The Blowfish! For our penultimate day of the Final Lap we will be taking a look at the super furry mammals! The group to which our own species belongs and those that we often have the closest emotional connection with. We’ll be searching for squirrels and hunting for hedgehogs with a special guest appearance from mammal expert and Hedgehog enthusiast Hugh Warwick! We’ve had a truely ssssssspectacular day! We hope you had luck on your ssssearch for our Guess the Ssssspecies of the day…..Did you guess right? It was the…. We in Britain have the largest population of great crested newts in Europe, although they are becoming rare in many areas around Europe. Male newts develop a crest along their back during the breeding season and this is why they are called ‘great crested newts’! Sometimes, they are called ‘warty newt’! This is because they have a dark brown warty body. They also have amazing yellowish-orange bellies with black blotches. This link is courtesy of the BBC Learning Zone and will take you directly to their webpage. Have you ever wondered what the difference is between a newt & a lizard? We’ve got in touch with our friends at Froglife for the 411 on these cute little critters…. Reptile and Amphibian Groups can be found all over the UK and these passionate enthusiasts do all kinds of things for their favourite scaley/slimey friends. 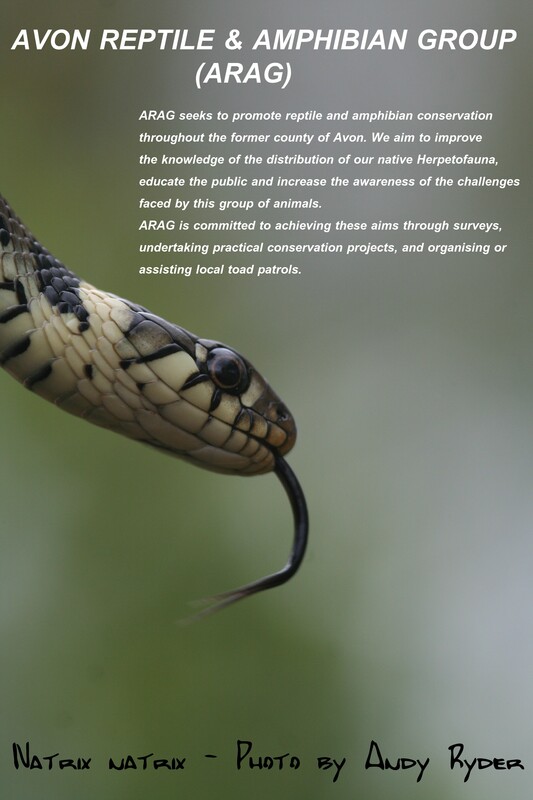 Check out these slides from our local group – Avon Reptile and Amphibian Group – ARAG for short! Hi Guys, The Blowfish here, branching out from my usually marine stuff to give you a mighty slice of something epic… even if it doesn’t have fins! Now the cool dudes at Meet The Species have asked The Blowfish to give you guys a quick run down on our native amphibians and reptiles. So where to start? Well why don’t we frog about blogs? Oh… er… blog about frogs!?? Yes, that sounds right! The European Common Frog (Rana temporaria) is a fantastic example of all that is amphibian and I know from the species lists that many of you have found this webbed footed wonder. Well come next year, around spring time, if you return to the pools and ponds where you first spotted the common frog, you might be lucky enough to find some frogspawn. I think frogspawn is amazing, the transformation from tiny fish-like tadpole, complete with gills, to full-blown hopping, leaping, lung breathing frog is something you have to see to believe. Why not visit the spawn over the course of a few weekends and see how it changes. Or, with the help of an adult, it is possible to keep a very small amount of spawn in a fish tank with plenty of clean pond water. Make sure you do plenty of water changes with water from the original pond and put those taddies straight back as soon as they start growing their legs! What other amphibby buddies have we got? There is the Common Toad (Bufo bufo), who doesn’t really like swimming in the water. But he does love rummaging around in the wet undergrowth at night, munching down slugs! Old Toad is the gardener’s friend, and no mistake. Don’t try and eat the toad though, they secrete powerful toxins from their skin as a very effective predator defence. Oh, I’ve even seen from the list that some of you found newts! Newts are fantastic critters – and did you know they like to dance? If you’re ever lucky enough to find a nice calm pond or pool where you know newts return to breed you might be privileged to watch the mating dance. It’s very complicated and involves a lot of hard work from the male, with dancing, tail waving and head pressing. But if done correctly, the female walks away fertilised. Then, she’ll carefully wrap each egg individually in a tiny leaf. Cracking! Ok then, enough wet stuff. How about something hot and dry? Certainly not an English summer then! Some of you were lucky enough to spot one of our most beautiful reptiles, the Slow Worm (Anguis fragilis). Now the name is hardly fair, not only is he not slow, he’s certainly no worm either. In fact, he is a legless lizard. The best time to spot these guys is in the early morning where they are basking themselves on hot rocks in the morning sun. After a bit of sunbathing, they are ready for a busy day of hunting, favouring small snails and worms as perfect prey. Slow worms actually give birth to live young rather than laying eggs, but sadly are in decline due to habitat loss, the slow worm is a British reptile who could really do with our help! Right guys, that was a brief look at some of the creatures you’ve been out there making friends with! Stick with Meet The Species blog as we round up this cracking critter-based summer and I’ll see you soon with an altogether fishier blog! There are a number of amphibians and reptiles which do turn up which are actually non native to the UK. There are a large number of pets which are kept up and down the country such as corn snakes, salamanders, tree frogs and other exotic animals which may escape into people’s gardens from time to time. The most successful non native amphibian in the UK has to be the European Water Frog. It can be confusing as there is around 14 different species found across Europe. The three main types are the pool frog, marsh frog and the hybrid between these species which is known as the edible frog. The water frogs are still spreading in UK either by their own steam or indeed by people power. The main thing is to not take home any spawn, tadpoles or frogs for the garden pond from areas where these animals are known to live. We cannot prevent the spread of these animals as the climate changes but we should try to prevent further introductions. 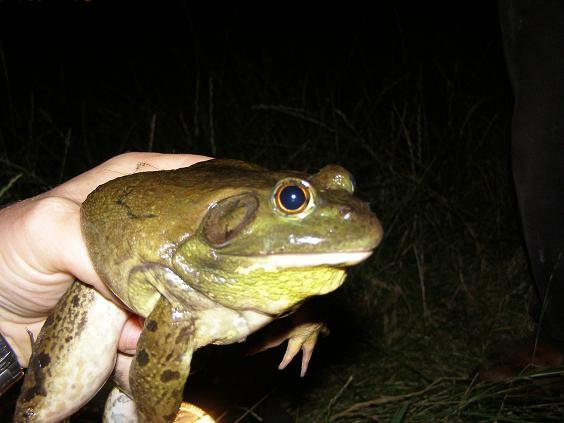 In order to do this we need to know where these animals are currently living so if you hear a noisy frog in the summer do let us know through the #RecordPool. Another interesting species is the midwife toad which has a curious life cycle in that the male toads looks after a string of eggs over the spring until they are ready to hatch. He then drops into a suitable water body to allow for the tadpoles to develop into new toadlets. This species has had a stronghold over the last century in and around Bedfordshire and new populations have been found in other parts of the country. It’s alternative name is the bell toad which relates to its breeding call which is very much like a computer game going off. It should be easy to identify this toad through it’s call as it is often very difficult to spot or find as it tends to hide away from ponds underneath stones and other garden debris. A rather exotic looking newt species – on the account that male’s colouration is a vivid blue with a bright orange belly. Looking pretty cool with a black and white chequered crest, it is easy to see why people like to keep them as pets. The female newt is similar to a young great crested newt with a bright orange belly and green or blue marbling on its body. The species is still sold through pet shops and aquatic centres so it can pop up pretty much anyway in the UK. It is of concern as it is a carrier or known risk factor for the deadly Chytrid fungus. They say everything is bigger in the States and this is a pretty big species from across the pond: the North American Bullfrog. Banned from importation into Europe in the late 1990’s we have become complacent regarding the risk of this species remaining in the UK. In the 1990’s a population was found in fish ponds near to the Kent/Sussex Border. The population was removed from this site over the next ten years.and it was thought that there were no longer any Bullfrogs in the UK. This changed in around 2006 when a population was located in South West Essex. Several hundred adult frogs were found and removed from golf courses and fishing ponds over a large area of Essex countryside. In 2010 a third population was found in the south of England on private land. Efforts are being undertaken to remove this population and to survey further sites for this massive frog species. It is surprising that this frog can exist undetected within these sites for over ten years. People hear them every year and put up with the sound of a mooing cow or a whole field of cows in some cases. Other neighbours thought it was a pumping system and therefore did not worry about the noise. We hope that there are no more populations hiding out there but just one female bullfrog can lay over 10 times more spawn that our native common frog – 20,000 eggs! So far the recent populations have not been tested positive for the deadly chytrid fungus that has been decimating amphibian populations worldwide, but these populations do have Rana virus which impacts on our native frogs. Not to mention these frogs can gulf down an adult common frog very easily. You can see all the reports/records of known, possible and extinct populations of this lizard in the UK. It is considered to be a native species on the island of Jersey in the Channel Islands. If you spot an agile lizard on stone walls located near one of the sites listed on the Wall Lizard Project you can submit a sighting card through the #RecordPool to help confirm add more information to the project website.